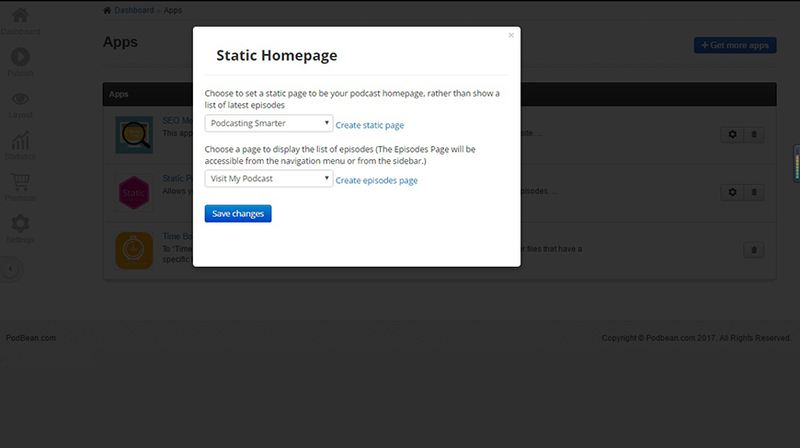 Allows you to set a static page to be your podcast site homepage, rather than show a list of the latest episodes. 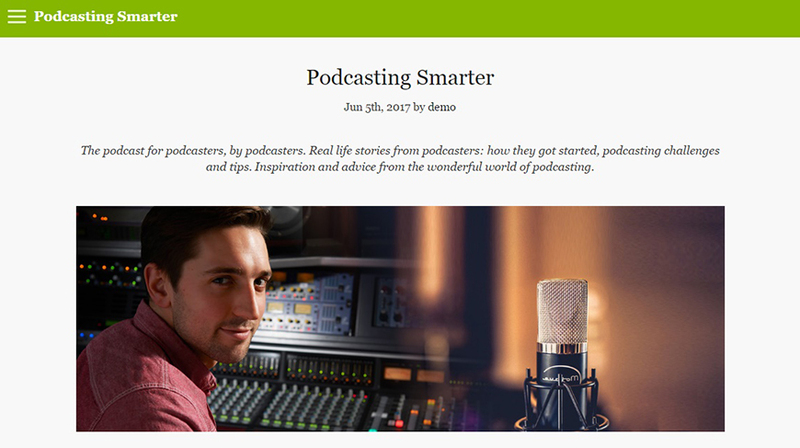 Static Podcast Homepage offers you an effective way to showcase your brand, podcast introduction, or personal biography on your podcast homepage, rather than show a list of latest episodes there. You can also use a static page for SEO purpose by setting keywords to improve your search rank to gain more new listeners. 3. Find the app and click on “Settings” to select a page. (You may go to “Layout”->”Pages” to create new page).